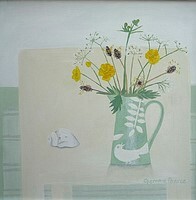 Gemma was born in Dorset in1972. 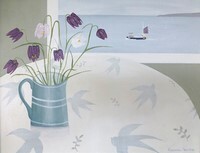 She left home to study art and design, firstly at Bournemouth & Poole College of Art and Design, and then at Bath College where she achieved a BA Hons in Illustration. 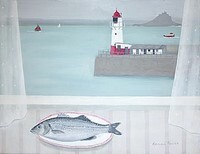 Moving to Cornwall was always a dream and when she found herself and her one year old living in Mousehole it was dream come true! 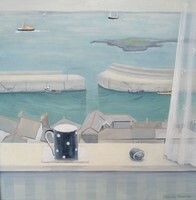 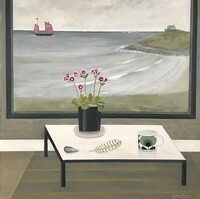 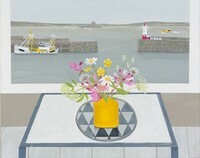 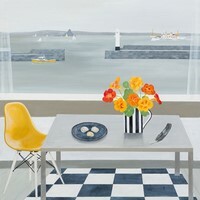 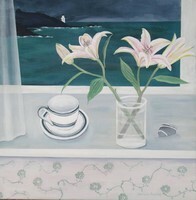 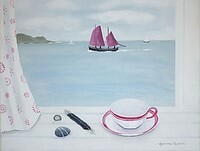 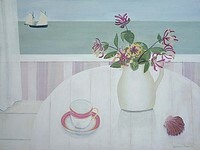 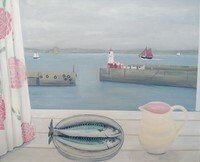 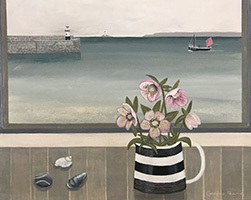 Surrounded by the sea, harbours and galleries of West Penwith it was the perfect place to continue with her chosen career. 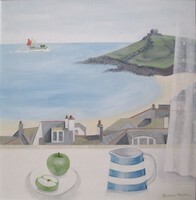 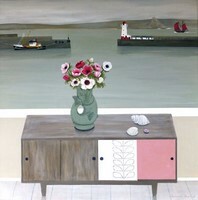 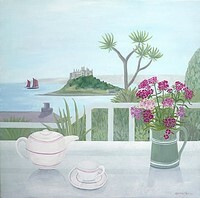 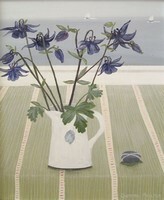 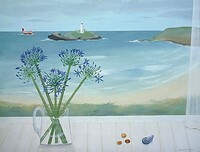 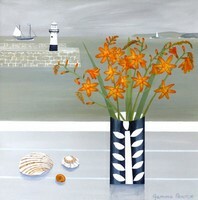 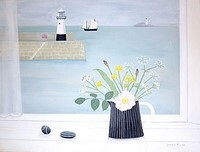 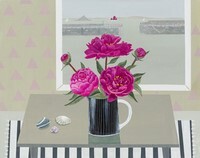 10 years on she is truly settled and still inspired by the ever changing Cornish beauty that surrounds her every day. 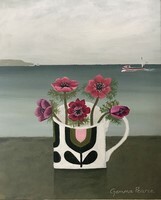 My interest in art began as a child when I would spend time with my father in his studio surrounded by his paintings, drawings, ceramics and large collection of art books. 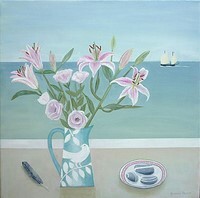 I have fond and vivid memories of being taken by him to museums and art galleries in Dorset and London. 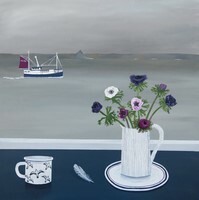 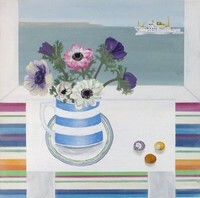 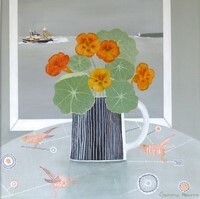 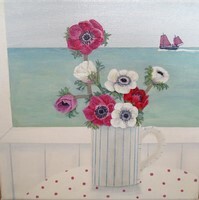 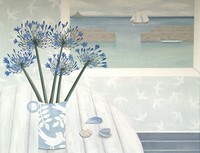 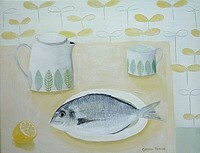 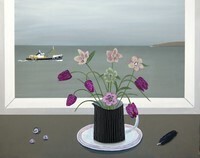 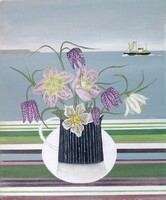 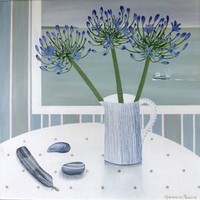 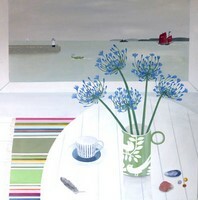 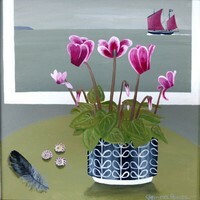 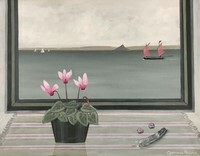 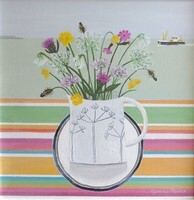 I lived and grew up on the beautiful Isle of Purbeck in Dorset and have always been drawn to the sea. 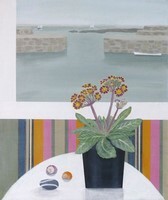 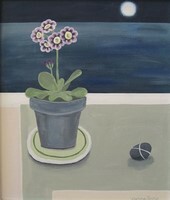 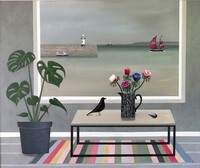 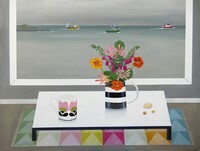 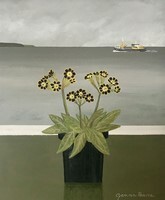 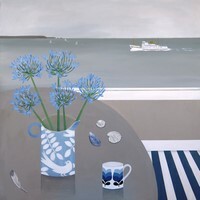 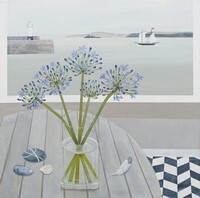 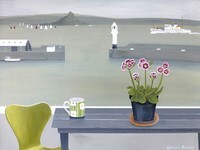 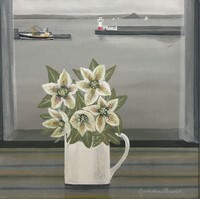 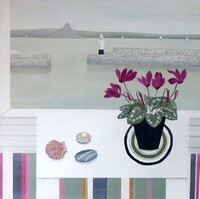 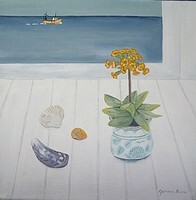 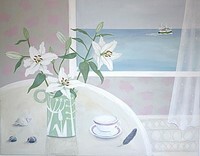 Now I live in Cornwall, much of my work reflects the land & seascapes, small ports, harbours and fishing villages of West Penwith, and particularly Mousehole where I have been living and painting for 10 years. 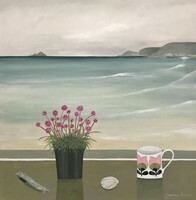 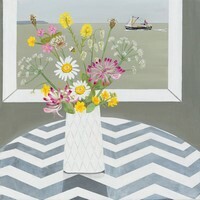 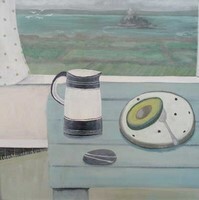 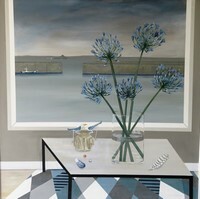 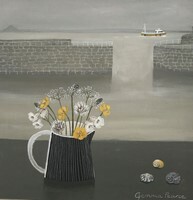 Although my most recent work is mainly of a ‘still life’ nature I am also influenced by, and drawn to, the Cornish light and landscape, soft colours, shapes and textures, rooftops, wildlife and flowers as well as the more industrial working harbours and old tin mines. 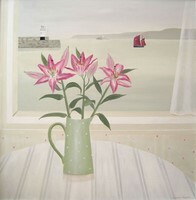 I love nothing more than getting lost in a beautiful view through a window. 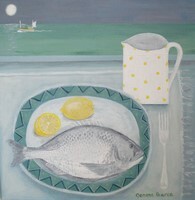 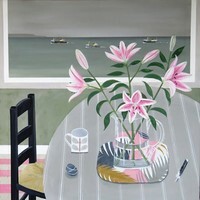 My paintings feature a limited palette of colour allowing me to capture the subtle moods of my chosen subject matter.